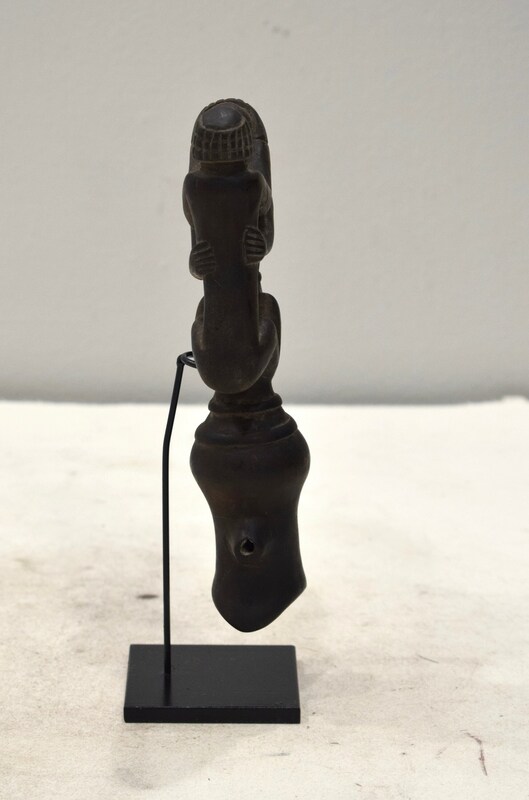 This is a wonderfully Carved Wood Lobi Flute with Carved Figures is from the People of Burkina Faso in Mali. Made in different sizes to serve different purposes, small flutes are used when hunting, while the medium and large flutes are used in village festivals and to honor deceased elders. Often zoomorphic in form, human shapes are also seen. 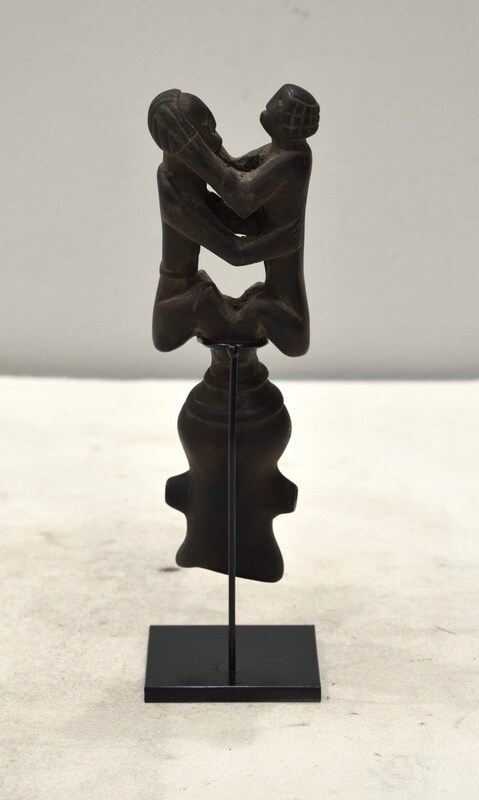 The Lobi carvers employ every imaginable form of variation, abstraction and reduction, indulging in the fantastic to such an extent that they are sometimes referred to as the 'wild' or 'crazy' Lobi. 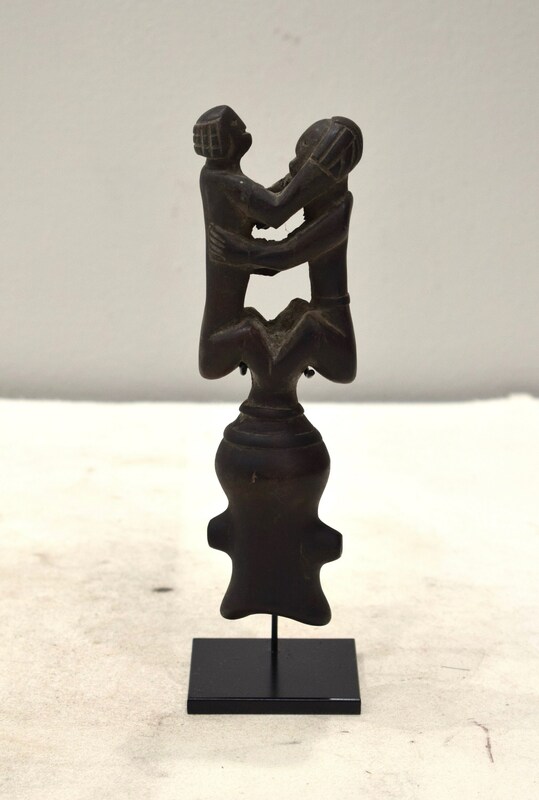 Most of the Lobi carves are self taught and can realize their own individual style. 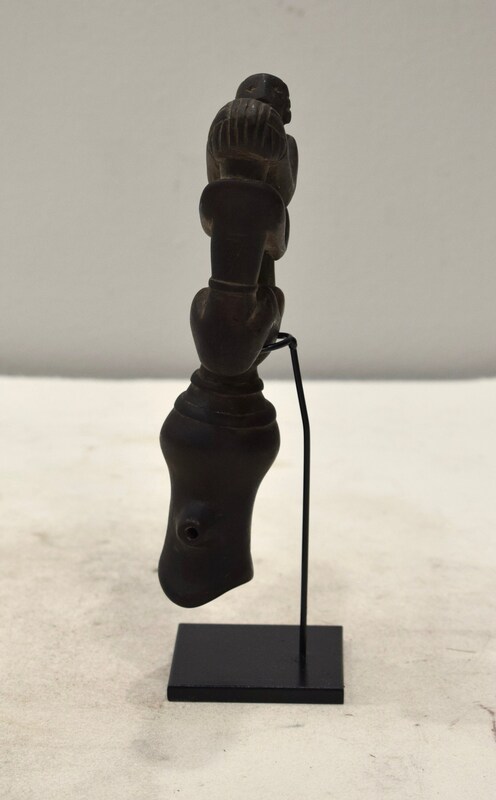 This would be a wonderful addition to your collection or home.